Welcome, if you are interested in boats you are at the right place. We rent boats - sailing boats, yachts and motorboats. We organize captain courses, diving courses and language courses. 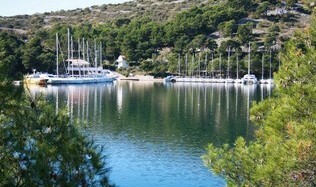 You can enjoy holidays in Croatia, Italy, Caribbean. You can find here actual weather forecast, last minutes, special offers, online cameras. Our captains safely sailed through all of the storms on every seas and oceans. They will not teach you just theory but they will give you their own experience. Overnight cruise is waiting for you! More information and program of the courses can be find here.